One of the wonderful things about mountains is the great variety of activities available and dreams to come true. If you love sport and Dolomite traditions, if you're looking for entertainment and rest, for the fulfilling and easy going holidays the Alps are famous for, you’re in the right place. Arabba - “Reba” in Ladin - is one of the standard bearers of this philosophy. The gate to the central Dolomites, a must for anyone who loves mountains. Curious? 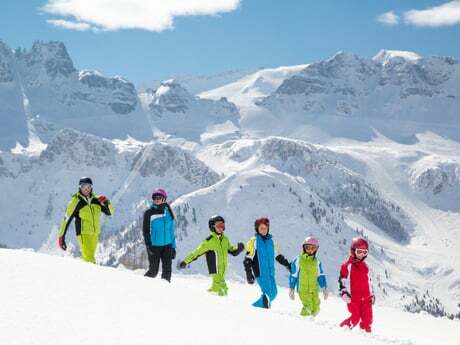 In the Valle di Fodom and encircled by the Sella massif, Arabba is at the foot of Passo Pordoi and Passo Campolongo, between Canazei and Corvara in Badia. This is where your dreams will come true. 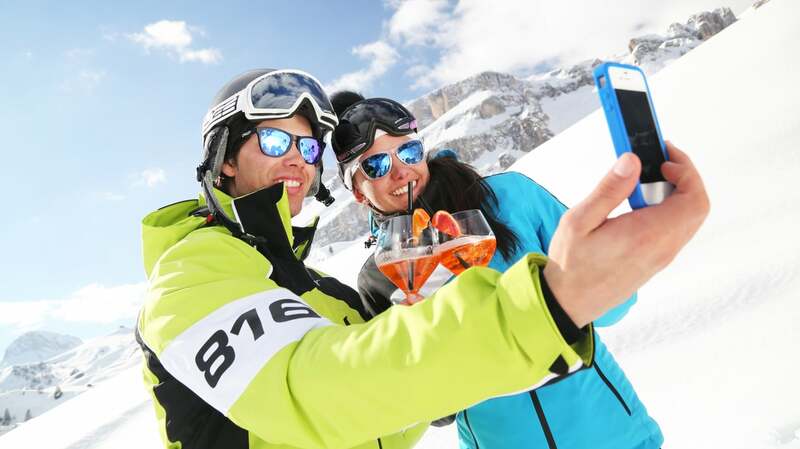 It is precisely this strategic location that makes Arabba so popular not just in winter but also for spring mountain holidays when the slopes are still open and bring in thousands of sports lovers from all over the world. Why miss out on this wonderful experience? 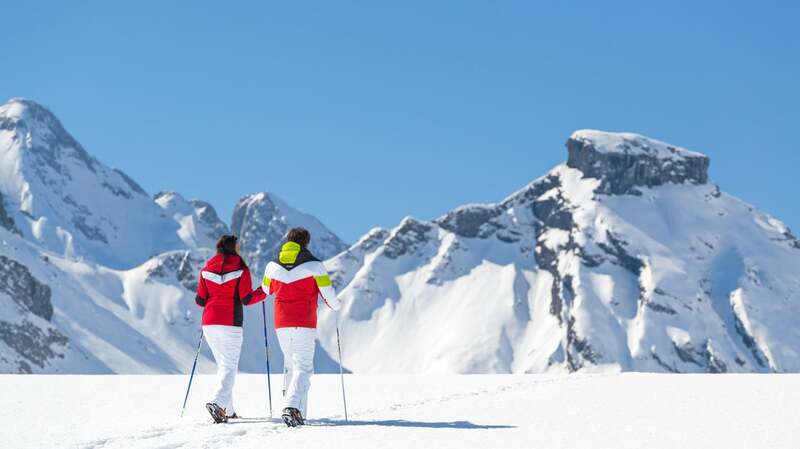 This year's good weather forecasts, which make for a perfect balance between sport and relaxation, mean that lovers of skiing, snowboarding and snowshoeing will be able to make the most of the area's snowy and welcoming attractions right through to 8th April. Works of art aren't always in museums. Mt. Marmolada is one of the most breath-taking landscapes in the world, not just a queen by popular tradition but also because it is so much loved by all ‘mountain people'. 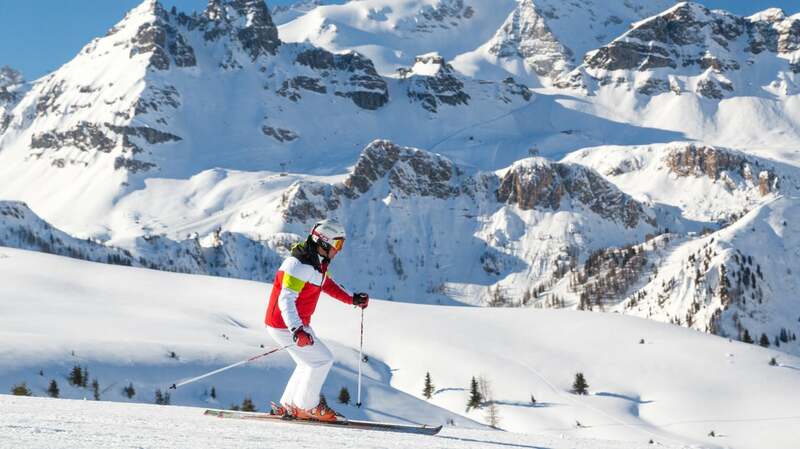 It is called the Queen of the Dolomites precisely because it is on every skier’s wish list: 3269 majestic metres. 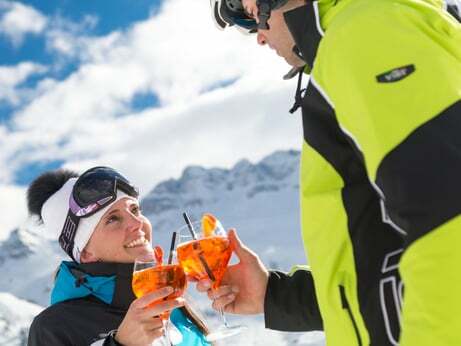 Arabba - Marmolada: a perfect partnership combining April skiing and thrills. Start the little ones off on their snow adventures in safe and well-organised places like Mt. Burz and the sites recommended by the ski schools. Guaranteed fun and an excellent way of getting them to love skiing and mountains, a love which will last forever! Your perfect day could start with snowshoes or following the recommended footpaths on foot. The climate is truly ideal for a very pleasant day at this time of year and there are many footpaths of all difficulty levels. If what you enjoy is looking for the most authentic places, the places the locals love, you can count on the experience and enthusiasm of our guides. Just ask the staff at your Arabba hotel, who will be able to advise you on the most beautiful and straightforward hikes. If you're looking for a more challenging experience, our Alpine guides will be able to take you on footpaths which will inspire you with characteristic and picturesque places to explore. It's a chance for wonder and fun and to take photos which you can share with friends and the Arabba community. These are memories you won't forget in a hurry! For those who love to relax, there's nothing better than an afternoon in a wellness centre after an excursion. After physical exertion let your adrenalin drain gently away, leave your tiredness at the wellness centre door and treat yourself to a sport massage or a relaxing therapy at our wellness centre hotels. You won't regret it! Traditional food expertly cooked and aromas you'll never forget: picture yourself enjoying a leisurely meal, warming up and meditating in front of the fire, sharing food with friends and having a good chat! Arabba's relatively mild early April temperatures will be your trusty companion allowing you to enjoy an open air aperitif and treat yourself in the company of some of the most beautiful views in the area (N.B. link seo). These are some of Arabba's best refuges which you must try at least once in your lives: Rifugio Bec de Roces, Rifugio Burz, Rifugio Plan Boè and Rifugio Incisa. Which of these do you not know yet? We'll be waiting for you in April here in Arabba for fun on the snow to the last!